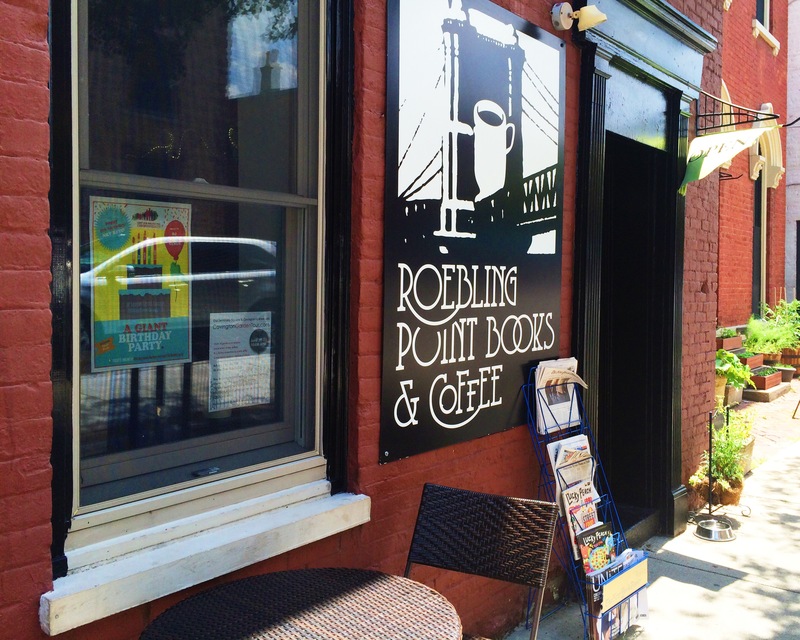 Roebling Point Books and Coffee – Go There. Try That. Sometimes on weekend afternoons my husband hops behind the wheel and I jump in the passenger seat (I know, I’m spoiled) and we go for drives. 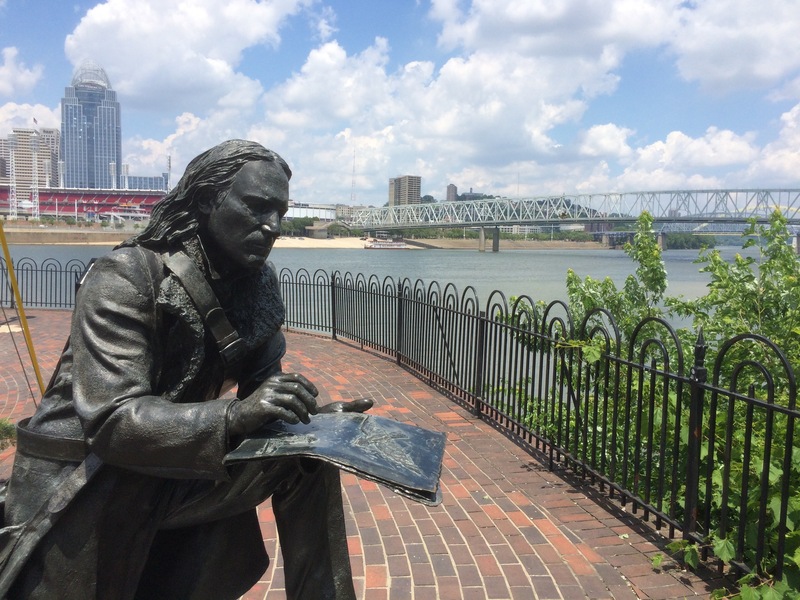 Occasionally we have a plan, but usually we go where the wind takes us. 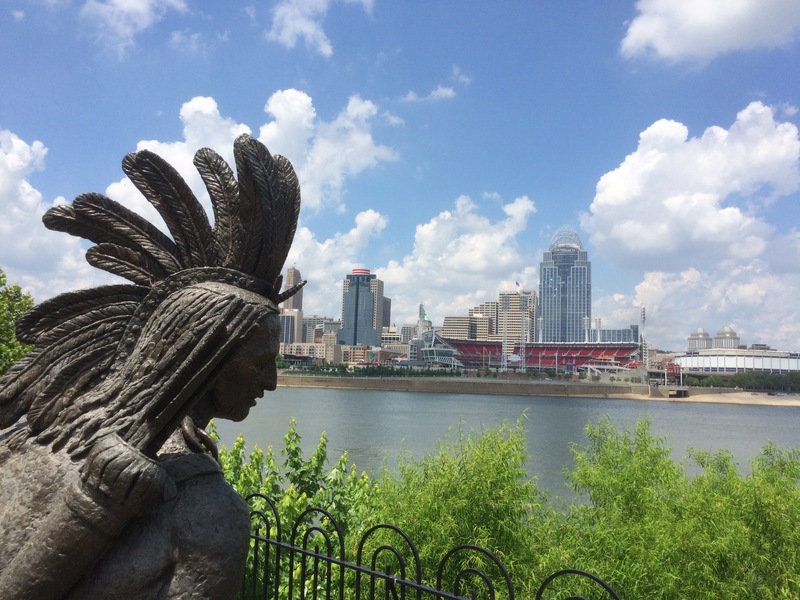 On one of our recent drives we decided to cruise around the Kentucky side of the Ohio River. 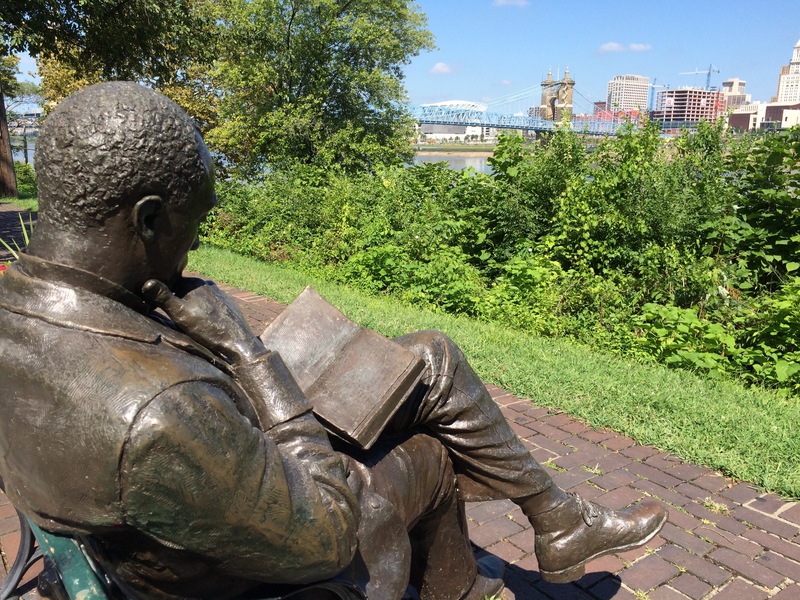 Benches lining the green space along the water, statues and monuments honoring various historical figures, and houses reminiscent of the historic district of Charleston made for a pleasant stop and walk along the banks. 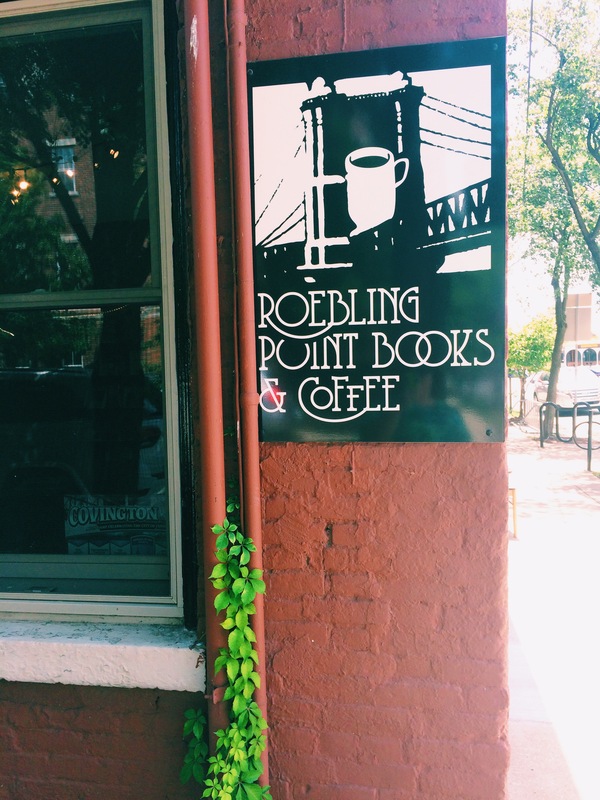 After exploring a little further, we noticed a sign for Roebling Point Books & Coffee in Covington! I couldn’t get my husband to park the car fast enough! 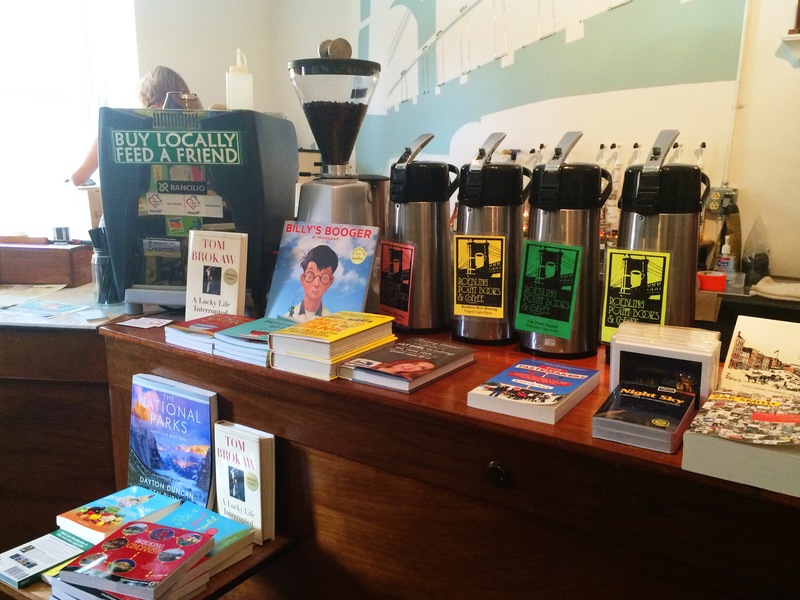 Books and coffee?! Talk dirty to me! Books and coffee go together like fairs and funnel cakes, beaches and sunsets, and karoake and Pat Benatar! Each is good on its own, but they make each other better! 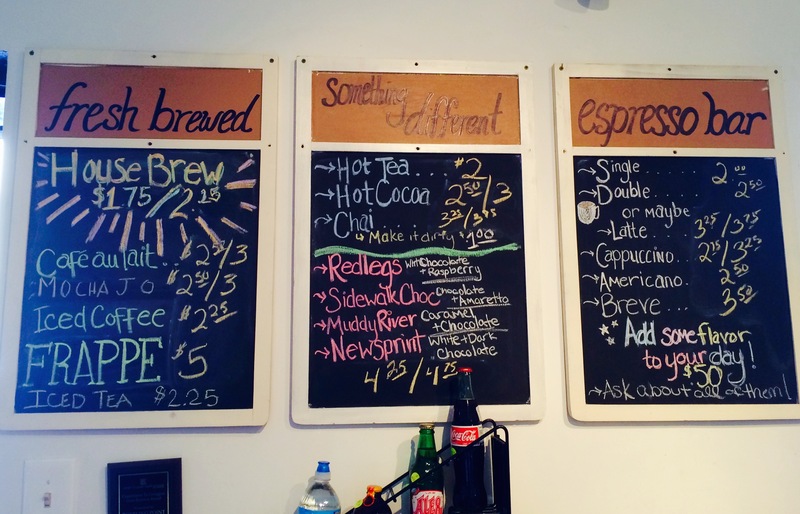 Turns out, Roebling Point Books & Coffee, located close to the Roebling Bridge, is a small, adorable new and used bookstore featuring coffee from Seven Hills and Coffee Break (both Cincinnati roasters). When you first walk through the door, the coffee bar is first up! 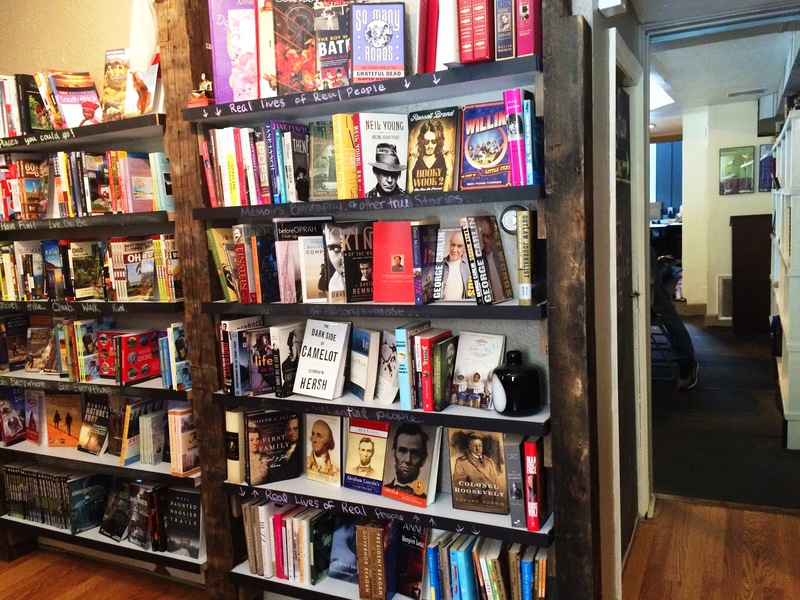 Grab a cup and peruse the books. I’m told that the Redlegs, a white chocolate and raspberry latte, is a fan favorite for those who enjoy a more fancy coffee drink! Roebling also serves sweet treats from various locations; for example, when I was there last time, there were donuts from Holtman’s! You can never go wrong with Holtman’s! My favorite room is the fireplace room. So cozy! 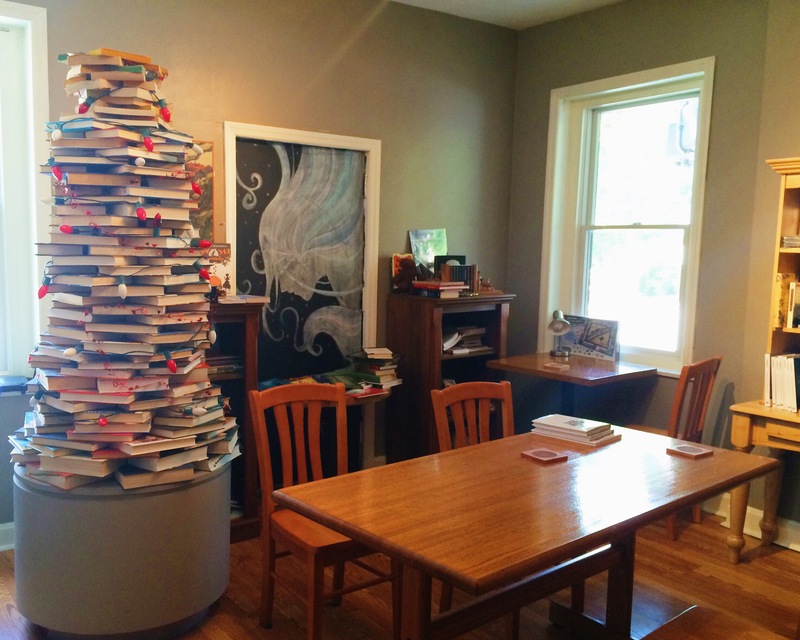 This place might not be large, but it’s charming and it’s an independent bookseller. There aren’t too many of those left anymore so I believe it’s important to support them! 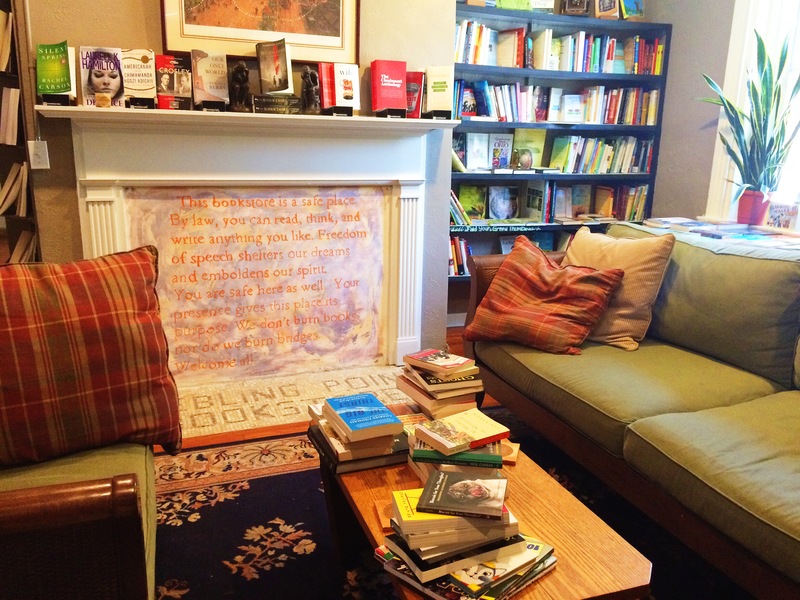 When you step into Roebling Point Books & Coffee the world feels a little more distant. 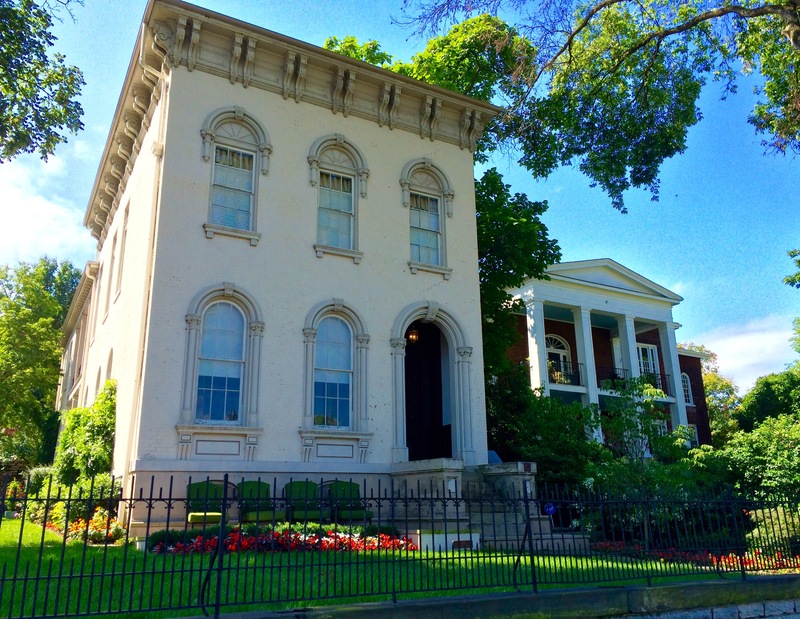 Sometimes I like to hide away for a little bit…especially with a cup of coffee and a few rooms full of books. Now, I don’t have any hard statistics on this, but I’m pretty sure that spending time in bookstores makes you smarter. And, if you’re like me, you can’t help but pick up a new title to add to your stack of “will read soon…at some point…yes, I’m creating my own library” books! 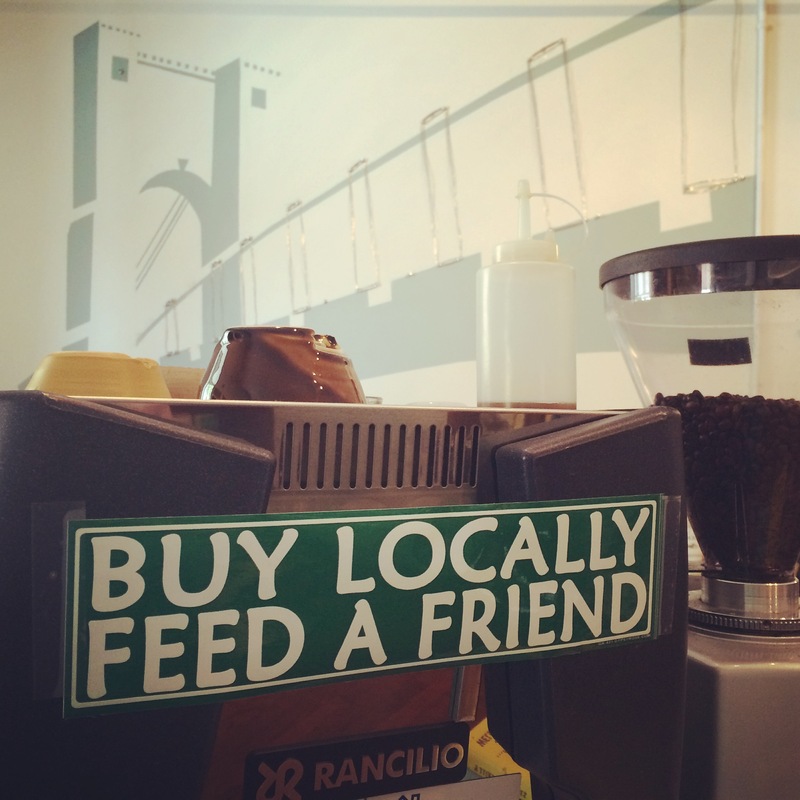 GO THERE (Roebling Point Books & Coffee)! TRY THAT (a cup of coffee and a new book)! I’ve heard of this place so many times! I need to get there!